In 2016, VIM-Avia carried over 2 million passengers for the first time in its 15 years of operations. The sizable increase in the airline’s passenger traffic was down to its having purchased Boeing 737/767/777 aircraft. This, in turn, resulted in further development of VIM’s engineering service. 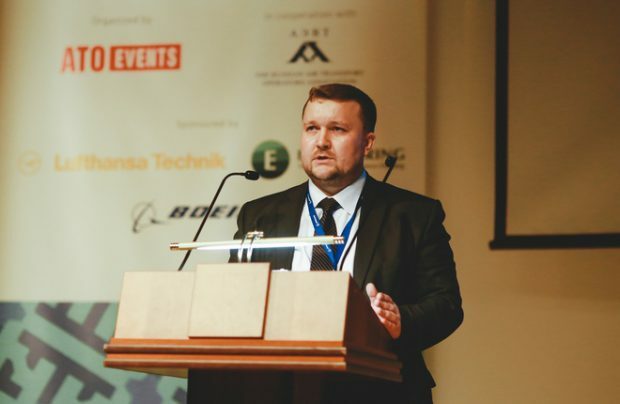 Russian Aviation Insider asked Technical Director Daniil Mazilin to speak of how his service operates, and how it works with MRO providers. – VIM-Avia saw a significant growth in the number of passengers carried last year, and also put several new aircraft types into operation. How did the carrier’s engineering service adapt to this? – For our service, the introduction of the new airliners actually began in 2015, when we started to research the existing market for both line and base maintenance services on the Boeing 737, 767, and 777 types. At that time we were already providing in-house airworthiness maintenance for the carrier’s Boeing 757-200s and Airbus 319s under an OTAR Part 39-compliant certificate issued by the Bermuda Civil Aviation Authority (BCAA). We were also doing in-house maintenance work on VIM’s Boeing 757-200s under a FAP-285 certificate. We considered all the factors and decided to have our airworthiness maintenance certificate extended to cover Boeing 737/767/777 under BCAA OTAR Part 39. As for the line maintenance work on these types at Domodedovo Airport, we signed a memorandum of intentions, and then a contract, with UTG Aviation Service, which already held a BCAA OTAR Part 145 certificate for these types at that time. So I may say with confidence that our service was fully prepared for the introduction of the new aircraft when the deliveries started. I would like to praise my team for its efficient work. We would sometimes have to work weekends and stay in the office until late into the night, because for some of our partners the working day would start when it was already late over on our side due to the time difference. It was only because of our personnel’s professionalism and teamwork that we managed to achieve good results. – What is your service’s development strategy? Are you planning to begin providing in-house line maintenance, or maybe even base maintenance, on the new types in the carrier’s fleet? – I will repeat that we already provide line maintenance checks on Boeing 757-200s. As for line maintenance on VIM’s other types, in mid-2016 we began preparations for certification under BCAA OTAR Part 145. We are now in the final phase of this process, and we expect to obtain the certificate by summer 2017. As for in-house base maintenance, we have no immediate plans to apply for a certificate. – You outsource heavy maintenance checks. How does your company go about choosing its MRO providers, and which of the selection criteria are the most important to you? – When choosing providers for any services, we apply a number of strict criteria and run a tender based on these. The most important factor is the provider’s quality system. Our procedures call for a mandatory audit of the candidate’s compliance with our requirements. However, this phase of the selection comes only after we have analyzed the potential maintenance costs involved. For base checks, the promptness of service is also an important factor. I would like to point out that it is very important in our business to be able to share experience with colleagues representing other carriers when it comes to choosing a particular MRO provider. This is why we attend various MRO conferences and exhibitions. – You have experience working with both foreign and Russian MRO providers. How do they differ in their approach to work? – This is a very good question. Now that VIM Airlines has introduced several new aircraft types and gained experience working with numerous MRO provides around the world, I may say with confidence that we feel more comfortable working with Russian providers. In my opinion, Russian MRO providers holding EASA Part 145 or BCAA OTAR Part 145 certificates are much more efficient than their foreign counterparts. The Russian providers’ focus on the customer is instrumental in supporting the carrier’s operational planning, because we are on the same socioeconomic page with them. The time difference is also an important factor in choosing an MRO provider. All these things considered, we prefer Russian providers. – A couple of year ago Russian MRO providers would mention the ruble’s depreciation as a positive thing for them, as Russian airlines found it more cost-efficient to have their aircraft serviced inside the country. How true is this statement of the current situation? – As I have mentioned, the price of an MRO provider’s services is not always the decisive factor. When it comes to airworthiness maintenance, the main things are wise planning and proper coordination with the carrier’s operational schedule. I do believe that the depreciation factor still holds true though. We continue to outsource base maintenance to Russian providers because this is the most optimal choice at the moment. – Why is VIM-Avia dispatching its technical personnel to attend MRO Russia & CIS 2017? Do you believe this fairly specific professional conference and exhibition to be of any practical use to your service? – As someone who has attended these events for more than a decade, I may say that it is the most useful conference I have ever been to in Russia. More new market players attend each year, allowing our airline to choose from an ever broader range of providers. Competition among providers of different services brings the prices down, which results in lower flying costs per hour. We are very grateful to ATO Events for this opportunity to meet our potential partners from all over the world in person.